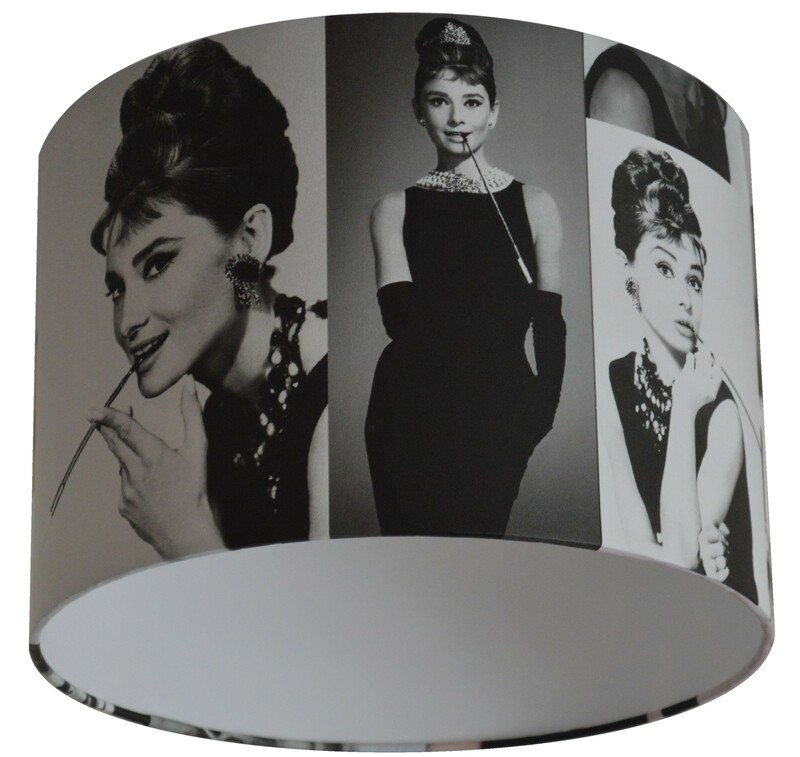 This shade is handmade to order using a black and white wallpaper featuring iconic images of Audrey Hepburn. The pattern continues right around the lampshade and top and bottom edges are hand rolled so that the pattern continues beyond the edge. This shade is made from 2 panels of wallpaper. Also available in the smokey pink and pale blue colour way.